Industry360: What's holding Australian creative agencies back? Industry360: What’s holding Australian creative agencies back? 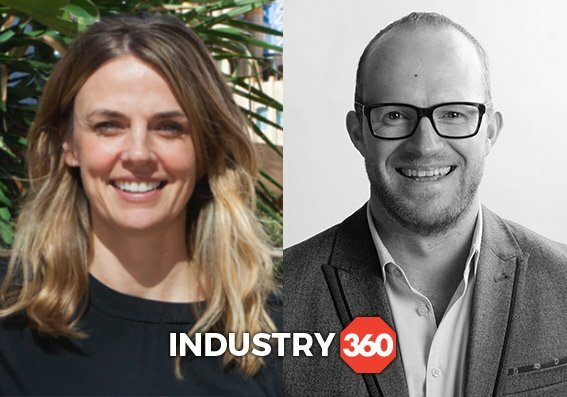 Industry360 gives Mumbrella readers a top-line view on what’s really going on in the media, marketing and advertising industries. This week we pose some tough questions to Host/Havas CEO Laura Aldington, and WhiteGrey CEO Lee Simpson about why Australian creative agencies aren't doing better work, and if media and creative are destined to come back together. What is holding back Australian creative agencies from doing better work? Aldington: I don’t think ‘great work’ is as much of a priority for marketers as it was once was and I completely empathise with why as they come under increasing pressure to deliver short-term results and not long-term effectiveness. It’s generally accepted that the best work is work that’s committed to and evolved over time. This is work that eventually plays a significant role in shaping and growing a brand. But high churn on both agency and marketing side, in addition to increasing pressure to change something if it’s not immediately seen to be ‘driving sales’, can prevent the required consistency from being achieved. I think we also forget who we are talking to. Havas has a global, proprietary (IPSOS backed) study called Meaningful Brands which showed that in Australia, consumers could do away with 77% brands in their lives and not miss them, and that number has only grown year on year. Consumers. Just. Do. Not. Care. We need to create more brilliant brands that genuinely matter to people (by which I mean play a clear role in tangibly improving their lives and provide an excellent end-to-end experience which makes them indispensable), at which point the work that supports those brands will be inherently better, simply by virtue having something valuable to communicate. We also all make far too much stuff and quantity of output has replaced quality of output. And because anyone can make stuff now, we all too often fail to distinguish between brilliant stuff and just stuff. But our audience don’t. If I already don’t care about you (and the data suggest I don’t), interrupting my day with something that hasn’t had time and talent invested in crafting it to make it useful or entertaining or challenging or interesting or beautiful or just something, anything, to make me care, is a waste of everyone’s time. Finally, I think that ‘great work’ is increasingly only a small part of what makes a great brand experience and therefore the aperture on what constitutes ‘great work’ is and should be widening. Great work as it is often defined as ‘great comms’ and whilst that absolutely still has its place, it’s no substitute for great experience. The best brands need both. Simpson: Delivering great work of all shapes and sizes is about brilliance and resilience. One or the other hold agencies (and clients) back. However, I wonder whether resilience is a quality that is more often overlooked? There are a lot of forces that can prevent good thinking becoming a reality from the old enemies of time and budget constraints, to the abundance of media and technologies to master, to changing macro conditions out of our control. All require the sometimes-rare quality of resilience to overcome them and make that brilliance a reality. Will we see media and creative coming more closely together in the next five years? Why/ why not? Aldington: Yes, absolutely, and we should. I suspect it’ll be driven by pragmatism as much as any ideology, with clients (quite rightly) demanding more efficient, simplified rosters with less duplication and politics. And at the same time, the lines between content, channels, consumers and culture continue to blur, meaning there are increasingly few clear cut ‘swim lanes’ in which to operate. That said, I do think the notion of ‘collaboration’ will need to be reframed as currently it can be misinterpreted as a bunch of people politely sitting in a room trying to do things by committee. But whenever I’ve experienced genuine collaboration, it’s pretty clear who does what well, and their expertise and contribution is valued precisely because it’s different to what anyone else can bring. At worst, our industry is like my four-year-old’s soccer team, with everyone chasing the same balls, enthusiastically, confidently but with no real purpose. Not everyone can do everything well, and the best teams will stitch together people who all do what they do brilliantly, and play them in proper position, not throw everyone on the pitch, shouting words like ‘content’ and ‘data’ and hoping they figure it out. Havas have long since advocated for the bringing together of creative and media under one roof in a “Village” and supporting them to work better together. In our experience, by far and away the most important factor in successful collaboration is recognising the value in what each other bring. So yes, I think it’ll come together but the success of it will be determined more by them remaining different than by trying to be the same. provide a point of view on the journey. Media and creative coming closer together makes sense and will continue – it’s not just a case of ‘why/why not?’ but ‘how’ that each agency and client needs to consider carefully. Aldington: I don’t think there is one particular day I could ascribe that much meaning to. In fact, I’ve often felt the opposite to be true. I have always, since the beginning of my career, used the same notebook. Wait. The same brand of notebook, not the same actual notebook. I’ve been through hundreds. Anyway, I periodically discover a stack of them somewhere and I try to read them in the hope that it’ll provide the inspiration for a really great memoir. It obviously never does. What it always reminds me is the days rarely matter, they come and go, and good or bad or indifferent, they are largely forgotten – but the output isn’t. I can still call to mind both great work and terrible stuff I’ve been involved in long after the days that preceded it and followed it have entirely disappeared from memory and all the meetings and documents and notes and to do lists are just nonsense. Don’t worry about the days, worry about the output. Simpson: I remember a time when I was a fresh-faced account director who had recently moved from my home town of Birmingham to Grey London. It was an exciting time as David Patton had just joined and the turnaround of that business was beginning. Tamara Ingram (now global chair at Wunderman Thompson) was running P&G globally at the time and would often invite me for a chat in her office to offer advice and mentoring. One day she said “Lee, you are the type of person who needs to feel the heat”. It made me look at challenging situations in a different way…not as something to dread but something that is often needed for people to show what they are really capable of. It’s fair to say, I’ve been looking for situations where I ‘feel the heat’ ever since. The important discussions continue in June at Mumbrella360 with sessions exploring how to build brands for a sustainable future, the art of disruption and how they can win according to psychotherapy. Plus a final reminder – ticket savings for Mumbrella360 end on Monday. From April 9, prices will go up by $600. I’ll tell you what is holding creative agencies back…lack of senior creative leadership. Too many great minds and folk who understand brands, have been turfed out, for ‘the below 35’s’. Many of us are given “you don’t understand digital” BS. The forces that be don’t get the fact that we were the digital pioneers, the people who started digital agencies. We grew up having to be planners as well as CD’s. We get what it takes to build a brand and I’m astounded how many marketing clients barely mention the word brand when giving an agency a brief. Do me a favour: ask your current ECD/CD what their definition of a brand is. You’ll be astounded by their answers (or lack of). Very few them know what they’re doing and they still think branding means increasing the logo size…. I have not seen such a surfeit of client talent right now in the last 20 years that I’ve been working. Unilever..shame on you. First, I agree that the quality of marketing has, and continues to decline. Marketing is now primarily focussed on sales goals rather than building brands. But my query is that you say that there is “a surfeit of client talent”. Do you really mean a ‘surfeit’? I would think that it is more like a ‘dearth’. The opinions so far have answered most of the few reasons that marketing and creativity have slumped in recent years. The short answer is a greedy switch to “Bean Counters” and a false realisation and acceptance of the age-old fear that the arty farty types may just have been having us on. We are living in a world where almost anyone who owns a PC or a digital ” whatnot” with the appropriate soft wear, considers him/herself to be a graphic artist or a sound engineer, an editor or a copywriter. Likewise, anyone who can remember a few lines from Game of Thrones or do a fairly good impersonation of their favourite film/video character imagines that he/she is a voiceover artist ( Voice Actor) or budding movie star. Great creative work involves risk-taking. When your client is captive of the PC ‘woke’ Stasi, like a Qantas, PwC or other clichéd brands – there will be no risk taking. There will only be compliance with prescribed ideology. When in turn, your agency only hires stubble-faced hipsters who parrot every ‘woke’ faddish mantra, and have no sense of humour about anything, that combined with such clients equals lousy creative. or ‘Great work requires you to be brave’, all I hear is an excuse for people wanting to be different and do anything they want. Great work does not have to involve risk-taking. Great work can be the simplest most risk-averse work if it’s right. Great work does not have to involve risk-taking, but great work often does require risk-taking, so what is your point?